On the eve of the biggest release in literary Bond history, former 007 novelist Raymond Benson’s latest book goes on sale across the United States. 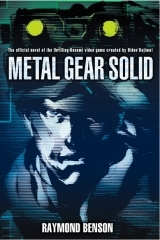 It is a novelization of Metal Gear Solid, which was the third in the popular Metal Gear video game series. 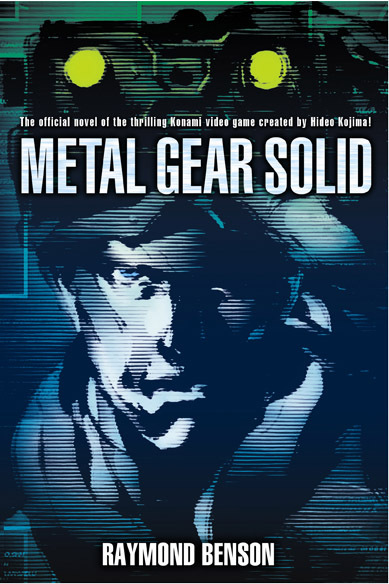 Metal Gear got it’s start in 1987 on the NES from acclaimed game designer Hideo Kojima, but the series didn’t really rise to prominence till Metal Gear Solid in 1998 for the PlayStation. Since then 3 canonical sequels have been released with a fourth game, Metal Gear Solid 4: Guns of the Patriots due out on June 12th for the PlayStation 3. There have been many other spinoffs and non-canonical releases too. Prior to this Benson also adapted the first two books in the video games series Splinter Cell for Tom Clancy’s brand. Both books made their way on to the New York Times Top 10 Bestsellers list and Benson’s pseudonym, David Michaels, went on to write two more (thus far) Splinter Cell books and launch another Tom Clancy brand based on an upcoming video game called EndWar. As much as I play games, I’ve never played Metal Gear Solid (which is probably a crime). Almost played the 2004 remake of it for the GameCube called The Twin Snakes, but never got around to it. Played all the Splinter Cell games though – which obviously means nothing to this post.